Why Do We Offer Dance Teams? You’ve probably heard us talk about our dance teams here at Neisha’s Dance & Music Academy, but how do you know if joining the team is the right path for your child? 1. Training with the benefits of performance in mind. 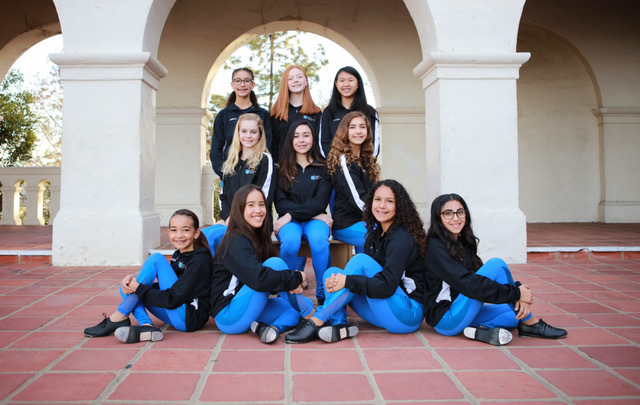 Because they participate in additional classes, rehearsals, and performances at an intensive level, our dance team dancers are spending many hours honing their technique and skills. Even more importantly, they are also developing their artistry, establishing their commitment, growing their resilience, practicing their sportsmanship, and building their teamwork skills. Through these character qualities, they are forming lifelong habits and learning how to cultivate a forward-thinking, positive mindset. 2. Working on goals bigger than yourself. As part of a group, each dance team member is learning to contribute to a larger purpose – to raise everyone’s potential. That purpose starts out with learning choreography together and then shifts into “practicing and polishing” mode, striving for excellence so that when the performance event arrives, everyone on the team is contributing their best effort. While winning is special, it doesn’t compare to the personal wins that come with dancing your heart out and cheering on your team while they do the same. 3. Preparing to possibly pursue dance in the future. The in-depth focus on dance that our dance teams offers serves as a platform for our students to consider pursuing dance long-term. They might think about pursuing a professional performance career, studying dance in college, or exploring teaching or choreography. Dance-related careers may pique their interest too, such as photography, journalism, and physical therapy. Being immersed in dance at a young age not only inspires our students to think about the future, it shapes their curiosity about which educational direction might be right for them. We believe success at Neisha’s Dance and Music Academy is all about each child’s personal growth! It is not dependent on the number of dance hours your child takes or if they choose to audition for our dance teams. But if the dance team commitment seems like a good fit for your dancer, we would love to provide them with that experience. We invite you to email us (info@neishas.com) with any questions you have about the program! Be the Difference! Be the Exception! At ND&MA, we are proud to be more than just great dance and music! Our culture goes beyond technique and poise to develop important life skills. Our values include: All kids are born worthy and character counts! You will find that our programming and our services reflect that. With over 300 classes offered each week, you are sure to find a class to fit your child's interest and your busy schedule.